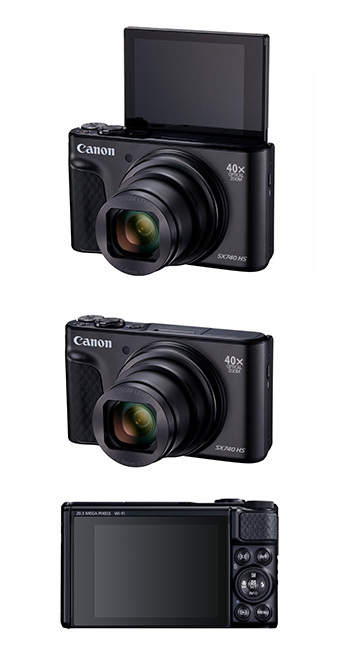 HONG KONG, 21 August 2018 - Canon today announces the launch of PowerShot SX740 HS with powerful 40x Superzoom in a lightweight and compact camera body. Featuring the latest DIGIC 8 digital imaging processor and newly added UHD 4K movie shooting1, PowerShot SX740 HS is a perfect option for both distant and close-up, still or motion images. The camera also offers built-in Wi-Fi for remote shooting via smartphones and newly supports automatic image transfer to PC2 or smartphones3 features, users can capture and share beautiful moments during travelling at ease. Combining compact body design, easy and simple user interface, various shooting functions and high quality images, PowerShot SX740 HS is the optimal choice for travel beginners and silver age users who looking for a easy-to-use and lightweight camera. PowerShot SX740 HS features a compact and lightweight body weighing only 299g (including battery and memory card) that can be put in pocket easily, makes it the perfect companion for travel shooting. It equips with a powerful 40x optical superzoom (24-960mm4) lens, in which the 24mm wide angle end allows easy capture of wide open landscapes and group photos within a limited space, while the 960mm super telephoto end can capture far away subjects flexibly in brilliant details and allow for more versatile framing. In addition, PowerShot SX740 HS also supports 1cm Macro shooting for capturing close-up shots of tiny objects with incredible details, allowing users to take photos from a whole new perspective. This camera tackles the needs of both distant and close-up shooting and enables users to capture travelling scene flexibly. The camera also features Dual Sensing IS which calculates and analyzes the amount of camera shake not only from Gyro sensor of lens’ IS unit, but also utilizingthe image information collected from CMOS sensor’s, enables an Optical Image Stabilizer (IS) with 3.5-stop5 shake compensation, an approximately 0.5 step increase from previous model, provides optimal compensation that effectively reduces image blur caused by camera shake during telephoto shooting to ensure sharp images. To make photo composition easy when using super telephoto zome, PowerShot SX740HS come with the handy Zoom Framing Assist function and Enhanced Auto Zoom function. With Zoom Framing Assist, when a subject goes out of the frame during super telephoto shooting, simply hold down the “Seek” button and the camera will quickly zoom out to help relocate the subject. During the process you can adjust the focal length by using zoom lever to determine the final composition. In addition, you can activate the Enhanced Auto Zoom function by a quick press of the “Seek” buttonwhen taking portraits, the camera will lock the subject with AF frame and maintain the same subject size by auto-zooming based on the size selected from Face, Upper Body or Whole Body by users. This can ensure simple and convenient framing when taking portraits. PowerShot SX740 HS features a new generation DIGIC 8 digital imaging processor, by combining its strong processing power with HS SYSTEM technology and a 20.3-megapixel high sensitivity back-illuminated CMOS image sensor, the camera offers vivid and delicate images. Thanks to DIGIC 8, Auto Lighting Optimizer (ALO) performance is improved; realizing enriched gradation in bright areas and reduced highlight blowout, and details can be captured effortlessly. Benefited from DIGIC 8’s high algorithm speed, PowerShot SX740 HS supports high-speed continuous shooting of up to approximately 10FPS (One-Shot AF) or 7.4FPS (SERVO AF) and offers low-noise image quality and responsive performance to meet the needs of shooting in different scenarios, especially for speedy moving subjects. With DIGIC 8’s processing power, PowerShot SX740 HS is the first in PowerShot Series to support UHD 4K movie shooting1 up to 3840 x 2160 resolutions, a quadruple of Full HD resolutions, and at frame rates of 29.97p or 25p. With its 120Mbps bit-rate MP4 format, users can shoot high quality UHD 4K movies with lightweight gear. To further enhance movie shooting stability, in addition to Dynamic IS that can reduce shakes caused by handheld shooting at wide angle, a Digital 5-axis IS and Auto Level function are also newly featured to correct more violent shakes. steady movies with perfect level are guaranteed even when shooting while walking. A “4K Frame Grab”6 function is also added, users can extract a selected frame in-camera as a 8.3-megapixel JPEG image from the UHD 4K footage taken, ensuring easy capture of important moments in both movies and high-quality images. UHD 4K and Full HD Time-lapse movie function is also added, enabling easy capture of stunning day-to-night natural or cityscape time-lapse movies in ultra-high UHD 4K resolution when travelling through selection of pre-set scenes or simple manual settings. PowerShot SX740 HS newly offers “Video Snapshot” function, which a series of four-, six- or eight-second Full HD short movies7 can be recorded; the short movies will then automatically be assembled into a “Video Snapshot Album” for playback of several movies with 3 different themed background music can be selected, producing movie-like montage effect with strong tempo. In addition, a Full HD Hybrid Auto mode is also featured in the camera. With this mode, up to 4 seconds of Full HD movie will be recorded automatically prior to every shutter press to capture a still image. All movies captured during the day will be merged automatically into one single movie of the day for easy review or upload. 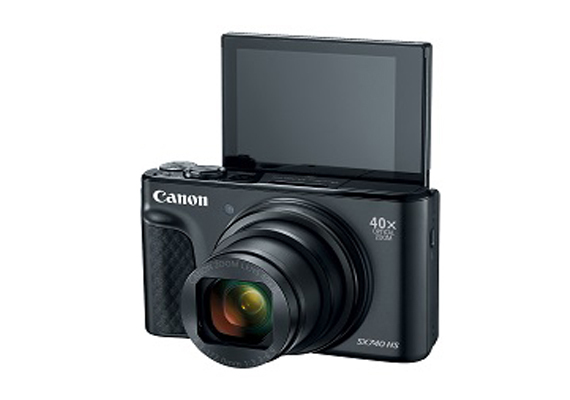 PowerShot SX740 HS features built-in Wi-Fi for wireless remote image and movie shooting as well as image browsing and transfer to smartphones via “Camera Connect” app, making image sharing to social networking sites such as Facebook, Instagram or YouTube simple. A Wi-Fi button can be found on the body, providing one-press access to the Wi-Fi menu for convenient and streamlined connection. The latest “Transfer images to smartphones when shooting” 3 is also supported, the camera will automatically send images to a smartphone via Wi-Fi in parallel when shooting, facilitating easy image browsing or sharing with friends during the course of shooting. All new images shot can also be backed up to the computer automatically and wirelessly when at home through the latest “Automatic sending images to computer” 2 function via “Image Transfer Utility 2” computer software, the transferred images can then be uploaded to cloud storage automatically for more comprehensive and convenient image management experience. In addition, PowerShot SX740 HS supports Bluetooth® low energy technology for more convenient and continuous connection between the camera and smartphones8 at low power consumption for wireless remote shooting from any direction within 5m from the camera. Furthermore, shooting location can also be appended to images by acquiring GPS information from smartphone9 via Bluetooth connection. This makes it easy to geotag images, create travel blog, as well as checking in to a location when uploading images to social platforms. PowerShot SX740 HS has added a Food scene mode for shooting bright and colorful food photos effortlessly. The camera also features Self-Portrait mode with smooth skin and background defocus functions. By adjusting Brightness on a scale from 1 to 5, and setting smooth skin level to weak, medium or strong, beautiful and natural selfies can be achieved with ease. The background defocus function can also makes the subject stand out from a blurred background, more impressive selfie result can be assured. The camera also features series of Creative Filter, including Miniature Effect, Fish-Eye Effect and Toy Camera Effect, for simple creation of versatile and funny shots during travel. 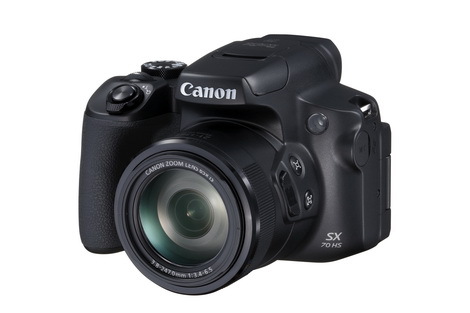 To meet the needs for beginners, PowerShot SX740 HS newly featured the “Feature Assistant” graphical User Interface, as found in EOS Digital Camera models, to help beginners understanding various camera functions easily. PowerShot SX740 HS also incorporated Scene Detection technology that automatically detect and select the best possible camera settings among the shooting scenes among 29 scenes. Together with date stamp function, users can add date or times on photos, making it easy to record important moments. PowerShot SX740 HS is equipped with a 3-inch 920,000-dot vari-angle LCD monitor, which can be tilted up 180°, ensuring easy shooting from different angles. In addition to the bundled battery charger, the camera also supports USB battery charging function via Compact Power Adapter CA-DC30 or Smartphone charger, providing convenient charging option on-the-go. 1 4K shooting takes place by cropping pixels from the center of the image sensor. 2 IEEE 802.11 b/g/n 2.4GHz band only. Both the camera and computer must be connected to the same Wi-Fi network. Image Transfer Utility 2 must be installed in the computer. Pairing of the camera and the software is required for the first time. When sending images automatically, the camera must be turned on, and the computer must also be turned on and logged in. To automatically transfer new/non-transferred images only, proper setting is necessary. 3 Camera Connect must be installed. Pairing of the camera and smartphone is required for the first time. 5 CIPA compliant, at focal length of 350mm (35mm equivalent). 7 Actual frame rate is 29.97fps (NTSC) or 25fps (PAL). 8 Camera Connect must be installed. Establishing pairing beforehand between the camera and smartphone is required. Both camera and smartphone have to be within a certain distance. For Android, Android 5.0 (or later) and Bluetooth 4.0 (or later) are required. For iOS, Bluetooth 4.0 (or later) is required. In remote shooting and Image viewing mode, connection will be switched from Bluetooth to Wi-Fi connection. While Wi-Fi connection is established, GPS data cannot be renewed. 9 Camera Connect should be installed on smartphones with Camera’s Bluetooth and GPS log function turned on. 2 CIPA compliant, at focal length of 350mm (35mm equivalent). 3 Camera Connect must be installed. Establishing pairing beforehand between the camera and smartphone is required. Both camera and smartphone have to be within a certain distance. For Android, Android 5.0 (or later) and Bluetooth 4.0 (or later) are required. For iOS, Bluetooth 4.0 (or later) is required. In remote shooting and Image viewing mode, connection will be switched from Bluetooth to Wi-Fi connection. While Wi-Fi connection is established, GPS data cannot be renewed. 4 IEEE 802.11 b/g/n 2.4GHz band only. Both the camera and computer must be connected to the same Wi-Fi network. Image Transfer Utility 2 must be installed in the computer. Pairing of the camera and the software is required for the first time. When sending images automatically, the camera must be turned on, and the computer must also be turned on and logged in. To automatically transfer new/non-transferred images only, proper setting is necessary. 5 Camera Connect must be installed. Pairing of the camera and smartphone is required for the first time. 6 4K shooting takes place by cropping pixels from the center of the image sensor. 7 Frame Grab from Full HD/HD movies is not possible. As movie frames are saved as still images, image quality is not equivalent to normal still images. Aspect ratio is 16:9. Bluetooth® word mark and logos are registered trademarks owned by Bluetooth SIG, Inc. and any use of such marks by Canon Inc. is under license. Other trademarks and trade names are those of their respective owners. 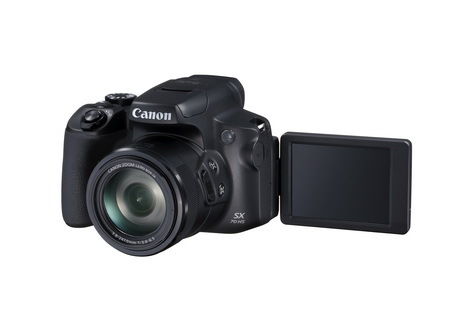 The Canon’s new PowerShot SX740 HS Digital Compact Camera is now available for sale with suggested retail prices of HK$3,180. One of the company’s first offices in Asia, Canon Hongkong Co., Ltd. (CHK) was established in 1971. It is responsible for the sales, marketing and after-sales services for all Canon product lines in Hong Kong and Macau. CHK adheres to Canon’s corporate philosophy of “kyosei”, which encourages the company and its staff to participate in social, charitable and environmental activities in the community. CHK implements internationally-recognized management systems and has achieved ISO 9001, ISO 14001, ISO 27001 (Canon Digital Production Center) and OHSAS 18001 certification. For more information about Canon Hongkong, please visit our website: http://hk.canon.